Veritas offers a wide range of study abroad programs on our tropical campus in Costa Rica. Students can choose from English or Spanish taught courses, full-immersion Study with Locals, Short-Term programs and internships to build an educational experience that fits their needs. Intensive Spanish language courses also begin each month. Discover Latin America from a new perspective, while studying in one of the most colorful countries in the world. Get ready to expand your senses! For students who wish to study abroad in Costa Rica, but are not fluent in Spanish, Veritas offers a broad range of elective courses all taught in English. Courses have a minimum enrollment policy of 6 students. 4 credit (60 hrs.) courses have mandatory field sessions and some may require Laboratory hours. Spanish Taught Courses are offered exclusively to students with an advanced level of Spanish. See the Calendar for details. Classes include the analysis of linguistic and extra-linguistic elements during interactive reading,writing and conversation. Placement depends on an assessment of the structural knowledge and the results of the ACTFL interview. All levels evaluate the student's oral, listening, reading and writing skills. This program fully embodies the idea of practical learning, as students are immersed in a 2 to 3-week intensive, short-term course. Most courses are a combination of class contact hours and practical field activities. Some of these courses require a 1-week online component prior to coming to Costa Rica. Courses run for three 15-week terms per year. Your opportunity to live the Costa Rican student experience, all courses are taught entirely in Spanish. Costa Rica is definitely a great choice if you would like to study abroad. Veritas University has a large variety of learning courses such as Latin America Architecture, Drawing, Painting and Public Art, Documentary Appreciation, Latin America Tropical Dance, Afro Caribbean Studies, Spanish courses and more. It is considered the happiest country in Latin America according to the World Happiness Report (2016). It is a safe country for locals and tourists. Costa Rica has no army; this was abolished by the famous José Figueres Ferrer on December 1, 1948. If you're looking for a place to study Spanish in Costa Rica our student's programs will be a great choice. You can also take a look at our student life page where you can find important information about homestay, cultural integration, trips and more. Jungles and virgin beaches, indescribable landscapes and more than a hundred active and inactive volcanoes. It is considered by UNESCO as a Natural Heritage of Humanity and is the country with the greatest biodiversity in the world. Its inhabitants are very gentle and cheerful. Costa Rica official currency is the Colón. 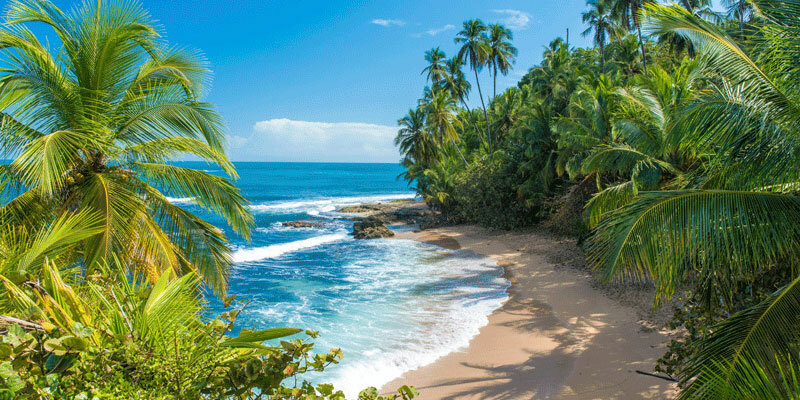 Due to its location, Costa Rica does not have the four defined seasons, but two. These are marked by rainfall and not by hours of sunlight. The inhabitants are Costa Rican; however, it is more common to refer to themselves as ticos. A very popular expression among the Ticos is "Pura Vida" It is used daily to greet, to emphasize that they are good, to refer to the quality of someone as a good person and even to say goodbye.